SurfEasy Review (2019) | Should you DOWNLOAD this VPN app? SurfEasy Review 2019 – Does SurfEasy Keep Logs? Mandee Rose | Posted on March 1, 2018 February 6, 2019 | Leave a comment on SurfEasy Review 2019 – Does SurfEasy Keep Logs? 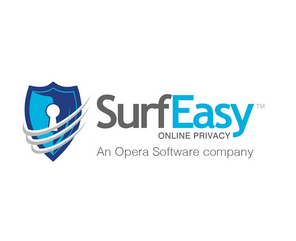 Opera Software, which makes the browser of the same name, bought SurfEasy in 2015. It has been investing heavily in its VPN service ever since. The Norway-based browser company kept the SurfEasy headquarters in Toronto, Canada. It now coordinates development teams in both countries in order to improve the SurfEasy VPN experience with its browser developers’ skills. Since buying the company, Opera has expanded the server locations of SurfEasy from 13 countries to 25. The total server count of the company is currently 1,000. China’s Qihoo bought Opera Software in July 2016. A growing VPN service, well supported by an innovative parent company. As well as accessing the service through an app, you can download an add-on for the Chrome and Opera browsers. The company offers a seven-day money-back guarantee on its premium service. The free service gives access to a shorter list of servers, which are located in 16 countries. This shorter list still includes major nations, such as the USA, Canada, the UK, Germany, France, Japan, and Australia. How Much Does SurfEasy Cost? The basic plan is completely free. The free version has a monthly data usage limit of 600 MB. The usage level doesn’t reset at the beginning of each month, but on the same day of the month on which you installed the software. The company offers two subscription options on its paid package, which are a one-month subscription or a one-year service plan. You can pay with a credit card or debit card if you have Visa or Mastercard. The company also accepts payments through PayPal. There are actually other service plans available, but you can’t access them directly from the website. You will read more about those options later in this report. In both the one month and one year plans, you are allowed five simultaneous connections. With the free service, you are only allowed one connection. What Features Does SurfEasy Have? The company’s location in Canada may worry some, particularly when they read in the terms of service that the company will hand over usage data to “governmental authorities or agencies … if there is a good faith belief that such collection or disclosure is required by law.” That means that it wouldn’t even ask for a court order in some circumstances. However, it does claim that it keeps no usage logs, so it is difficult to see what information it could be forced to hand over. The logging policy of VPN companies is important, because one of the main reasons to subscribe to a VPN is to hide your activities on the web. Copyright holders sometimes take people to court for downloading copies of media files without paying for them. They track these downloaders by leaning on the companies that run the download servers to hand over their access records. SurfEasy welcomes torrenters and masks the IP addresses of those engaged in downloading files. Thus, if a legal team is tracing those who have downloaded files, it would get the VPN’s IP address from the download site’s access logs. The prosecutors could then get a court order against the VPN company to find out who was using that IP address at that particular time. So if SurfEasy kept logs, then there would be no point in paying for cloaking technology, because you could still be traced. The SurfEasy service includes an advert tracker block, which is rare among VPNs. When you surf the web, the sites that you visit copy down small programs and data files called cookies onto your computer. Have you ever noticed that if you visit a commercial website, everywhere you surf after that carries adverts for that company, or for products similar to the ones that website carried? This is called retargeting, and it is made possible by cookies. The tracker blocking element of SurfEasy stops this practice. ISPs are sometimes required to filter out access to certain types of sites, such as torrent sites. In this instance, they simply read the destination address on every data packet that passes through their routers and drop any that contain one on a list of banned addresses. VPNs such as SurfEasy encrypt the entire data packet to prevent detection. However, every packet on the internet needs a header with a legible address, otherwise routers wouldn’t know where to send it on to. Thus, the VPN carries your packet inside another one, which is addressed to their server. Once the packet arrives, it gets unbundled, decrypted and sent on to the intended destination. SurfEasy uses the OpenVPN protocol to encrypt data packets from Windows devices, Macs, and Android systems. It uses IPSec to encrypt packets from iOS devices. Both of these systems are widely used by VPNs, and provide uncrackable privacy. The SurfEasy system has two more features to keep your communications private. Your computer may connect to any WiFi hotspot that you pass, even if the laptop is in sleep mode, so a SurfEasy WiFi security option encrypts all WiFi communications automatically. The other security feature is a kill switch, which can be turned on or off. This prevents your computer from connecting to any network if the VPN service is not running, or not contactable. The best starting point for getting into SurfEasy is probably through installing the free version. You can find it by clicking on the “Sign up Free” button at the top of the homepage. The process begins when you enter your email address in the following screen. Check your inbox for an email from SurfEasy. Click on the “Confirm Email” button to get your account set up. A new browser tab will open with a password creation screen. Enter your new password twice to continue. On the next screen, click on the button for your operating system in order to download the software. Afterwards, click on the downloaded file to start the installation wizard. Click through the installation process to complete the set up. The application does not open automatically when the installation completes, so find it on your desktop and open the app. You may be asked whether you want your firewall to allow the program to proceed. The first time you click on the app to open it, you will be presented with a screen that prompts you to create an account. You have already set up an account, so click on “Already have an Account?” and sign in at the next screen. After a few pop-up messages, the app will disappear. You may think that it has fallen over, but look for the red shield at the bottom of your desktop and click on it. This will open the app. Click on the globe symbol at the top of the window to access the list of server locations. Clicking on one of those gets the connection started. The globe will change to the flag of the connected country once your VPN server has kicked in. Change the location by clicking on the flag and selecting a different country from the drop-down list. Back at the website, you can check your account details on the user dashboard. You can also see a record of your throughput from within the app, by clicking on “Your usage” in the horizontal menu bar. Although you can go back to the main signup page of the SurfEasy website to sign up for the paid service, you can also purchase the premium package from within the user account area. In fact you get a broader range of subscription deals in the “upgrade” section of the client area than you do from the main signup page. The prices for the ultra option (five simultaneous connections plus torrenting) are the same as those that you would pay by signing up on the main subscription page of the site. Here, there are also two cheaper options available, which give you one or five simultaneous connections. Fill in the billing details, giving a Visa or Mastercard number, or opt to pay with PayPal. You will receive a confirmation email of your purchase, but there is no need to download any more software. EasySurf will automatically remove the data throughput limit from the app that you already installed, and show the new terms of your account in the dashboard. There is a link to the helpdesk from a drop-down menu available from the settings cog. Clicking on “Contact Support” opens a tab in your default browser and takes you to the support page of the SurfEasy website. This is an FAQ page. The “Help” bubble in the bottom right corner of the screen gives you a search field to type in a question. Suggested articles will be listed in response to your question. If none of these solves your problem, you can click on the “Leave us a message” button to ask a question. This is not a live chat system; you enter your email address and ask a question, then someone responds by email. You can get to a larger version of the help request form by clicking on “Submit a request” at the top of the help page. There is no live chat for support. However, a cheeky way to get instant contact is to return to the main page and click on the “Chat with us” link at the bottom right corner of the screen. This channel is really meant for the sales team, but they are able to answer questions about the service. However, the chat system isn’t always manned. You can also just send the team an email, or call the support hotline if you are in the USA, Canada, or the UK. You can access browser software from the download tab of your account dashboard at the SurfEasy site. You can choose to install an add-on for the Opera browser, for Google Chrome, or both. When the installation has completed, you will see the red shield of the application located alongside the address bar of your browser. Installing the browser version gets you a higher data limit, but the look and feel of the add-on is exactly the same as the app. Adding on the Chrome version even bumped up my data allocation for the general Windows app as well. As a general rule of thumb for any VPN service, you are better off connecting to a server close to your destination. This is essential if you want to access a media site with regional restrictions, because it will block you from accessing its content if you are not in its country. Let’s check out some speed test examples. SurfEasy has an option of an optimized VPN server location, which it selects automatically if you use the browser version. With the app version you need to specifically select that option as a location from the drop-down server list. The optimized server selection allocated an access point in Washington DC. Running a speed test to the local test server gave the following results. Using the optimized location selection of Washington DC, the VPN actually improved the speed of the connection slightly. Applying the SurfEasy-recommended VPN server in Washington gets slightly better download results. But that won’t get a Brit into BBC iPlayer. By switching to a UK-based SurfEasy sever, the download speeds are slightly improved, and UK media sites will be tricked into thinking the access is from within the country. Should I Subscribe to SurfEasy? The mention of handing over data to the authorities that is written into the terms of service of SurfEasy may well worry users in Canada. The company’s new Chinese ownership might also make it a bad choice for those who are resident in the People’s Republic. However, if you are a traveler who visits countries with lousy internet speeds, you will still be able to access your home TV websites with a SurfEasy VPN.